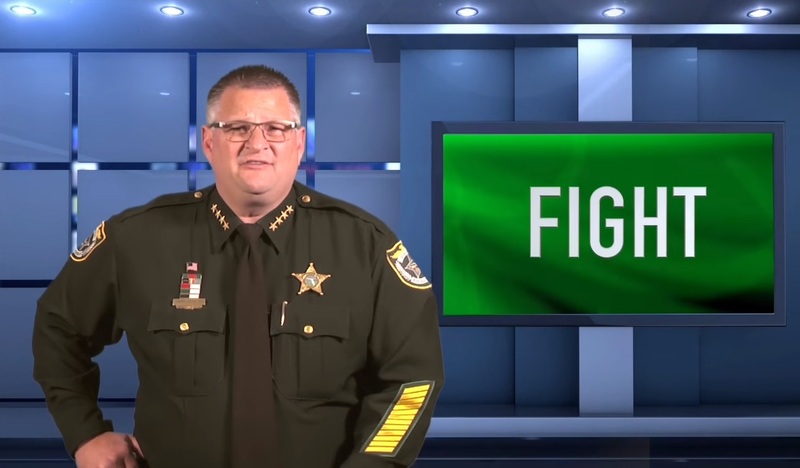 Brevard County Sheriff Wayne Ivey appeared on FOX & Friends to explain why he published a video which calls on armed citizens to be ready to stop terrorists themselves after the mass shooting in San Bernardino, Califorinia. "If you're a person who is legally licensed to carry a firearm, now is the time more than ever to realize that you, and you alone, may very well be the first line of defense for you, your family, and others around you in a terrorist or active shooter-based scenario," Ivey said in the video. During the Tuesday morning segment, Ivey responded to Former NYPD Commissioner Ray Kelly's statement that police officers are much better trained and that someone who is not well-trained with a gun could "compound that mayhem." "I have absolute faith in our citizens to help us protect our community," said Ivey. "We have incredible former military, veterans, former law enforcement officers, across-the-board, that are capable of helping us, and more importantly, protecting themselves." Brevard County, which is also known as Florida's Space Coast, has a large military veteran population because the county includes Kennedy Space Center, Patrick Air Force Base, Cape Canaveral Air Force Station, a U.S. Navy Submarine Facility, and several private space and defense contractors which tend to employ former military personnel. Ivey's pro-gun stance is well-known in Brevard County. During his first campaign for Sheriff, Ivey was endorsed by the National Rifle Association and held a "Firearms, Fun, & Food" fundraiser where participants could fire off rounds from .22 caliber, 308, 9 mm, and 50 caliber firearms.